Sometimes, a moment of greatness can take years to achieve, and in other cases, inspiration hits in no time at all. In the case of the absolutely amazing series finale for Six Feet Under, arguably the greatest series finale of all time, it seems like an idea that would have been embedded in the mind of creator Alan Ball from the very beginning. But no, it was just a stroke of writers’ room genius. 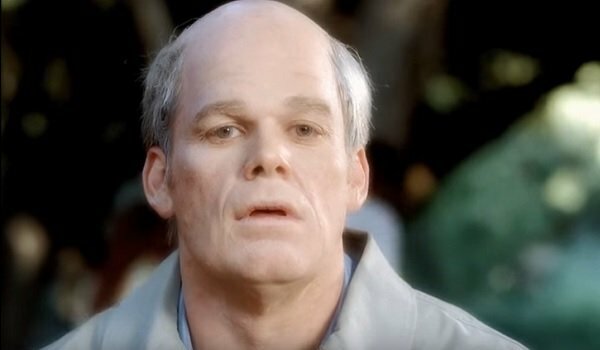 It’s been exactly 10 years since Six Feet Under aired its final episode on HBO, and the show has only become more popular in the following years as more viewers have found their way to the dysfunctionally charming Fisher family. And part of that endurance comes from the finale and the exceedingly depressing death montage, which allowed audiences to actually reach closure with these characters, something that not a lot of TV shows allow. Here’s how Ball says the idea came about. From its name to its opening scenes to everything else, Six Feet Under is a show about death and mortality, and the different ways in which people come to accept those things. By ending the series with a medley that shows us how each of the main characters died – except for Nate, who’d already passed away a couple of episodes earlier – Ball created something that was more sensible than a casket wall. Because even though we’re essentially watching beloved characters dying one after another, we get to see that they lived the lives they wanted, and that most were in a happy place when they kicked it. That’s all we really wanted for these people, isn’t it? I still can’t think about Lauren Ambrose’s Claire driving off or Michael C. Hall’s aged David without wanting to curl up in a sobbing ball. Beyond just a lovely way to give viewers a proper chance to say farewell, Ball also thinks the emotional impact of that finale montage allows people to come to grips with death in general. He also said this to THR. As a culture, we are not particularly comfortable with the idea of mortality. Everyone thinks about death, especially the older you get. There’s something cathartic about it. If you’re a fan of the series and you’re watching the finale, you are kind of emotional anyway. I think the fact that everyone started dying gives people an outlet to grieve our collective mortality. Wise words. No one in the cast, or Ball himself, has watched the finale in the past 10 years, but they all still feel its resonance. Now if only Ball had planned such an iconic ending for his other show.